Mark grew up in Cincinnati, Ohio, but has lived all over, including a brief stint in Perth, Australia as a child. Mark’s passion for writing began in junior high. Encouraged by his teachers, including now best-selling author Sharon Draper, his eighth grade English teacher, he wrote short stories, dystopian poetry, and even attempted a novel heavily inspired by The Hobbit. After high school, Mark served in the US Navy, working on the flight deck of the USS Peleliu fueling helicopters. When his enlistment was up, Mark enrolled in the Electrical Engineering program at the University of Cincinnati but bailed out his sophomore year to start working as a freelance computer software developer. Today he continues to write code as well as fiction. Mark’s love of horror and sci-fi began as a toddler watching movies with his mother. Classics like The Wolf Man, Invasion of the Body Snatchers, and The Day The Earth Stood Still were a standard part of his pre-bedtime ritual. His mother also passed on her passion for books, and by the third-grade, he was reading novels like Jaws and The Island of Dr. Moreau. Today Mark enjoys a wide variety of genres, from techno-thrillers by writers like Tom Clancy and Michael Crichton to the humorous writings of Douglas Adams. 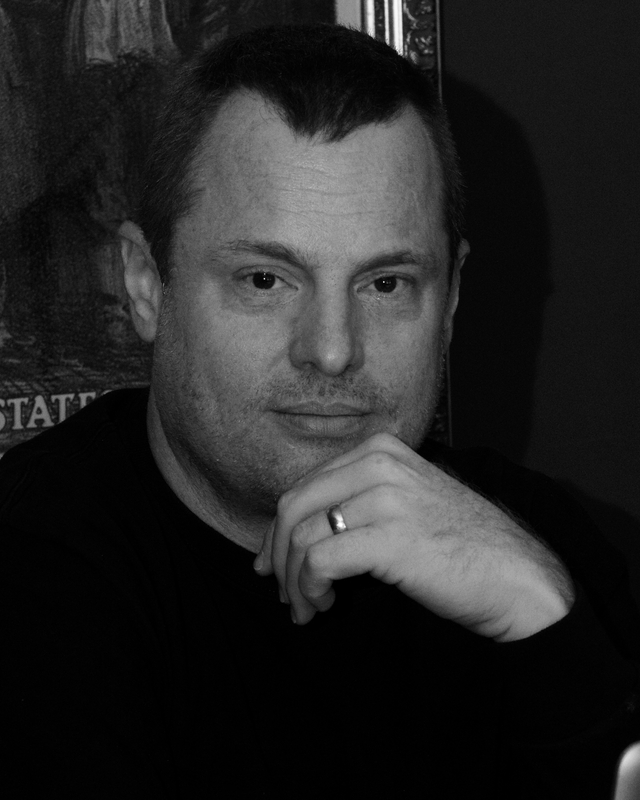 His main writing influences, however, are Stephen King, Ray Bradbury, and Lee Child. Mark’s debut novel, Dark Ties, was published in April 2017. The novel is a psychological thriller that follows a writer who finds himself psychically linked to a serial killer a thousand miles away. His second novel, The Andor, is the first book in an epic fantasy series, Legends of Tirmar. It was published in November 2017. In addition to the second book in the Legends of Tirmar series, Mark is working on a sci-fi novel about a space-faring swashbuckler who crash-lands on a remote alien planet. When not working behind a desk, Mark teaches people to fly airplanes. He’s also an avid cave diver. On land, he goes camping almost every month and tries to stay fit by running long distances in preparation for the zombie apocalypse. Mark lives in the suburbs of Cincinnati with his wife and two sons.